Particularly pertinent in an era of heightened politics, Tea For Three humanizes the political scene with a story both whimsical and deeply moving - a behind-the-scenes look at Lady Bird Johnson, Pat Nixon and Betty Ford. Share the journey of each, as she faces her final days in the fishbowl of first Ladydom. 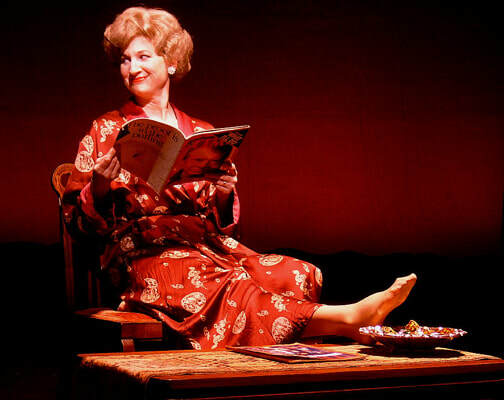 Emmy Award-winning actress Elaine Bromka, with 30 years in film, television, Broadway and Off-Broadway, starred as eight First Ladies opposite Rich Little in the PBS show The Presidents. Intrigued by their stories, she went on with playwright Eric H. Weinberger to create this one-woman show. A tale of a remarkable trio in a most unusual job - and eighty-five minutes of heartwarming delight!